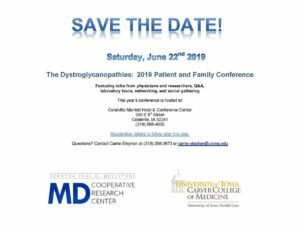 Blogs offer a great opportunity for individuals diagnosed with LGMD to share their life experiences, challenges, accomplishments, and passions. They also serve as a great tool to raise awareness of LGMD. Below is a list of LGMD related blogs which you may enjoy following. Leanne’s Wheel Life — Disability posing as either mental or physical limitations is so much easier to live with when shared and supported by each other. Leanne has Limb Girdle Muscular Dystrophy (LGMD) and lives in Australia. She invites you to be part of “Leanne’s Wheel Life” community where you can join her to navigate and explore life together. Love, Ivana — Ivana has LGMD and her life shattered into a million different pieces over a decade ago and instead of staying broken, she decided that she deserved a chance to live. Her writings pick up the pieces around her wherever they have fallen from, no matter how big or small. She captures the moments she once lost and also finds new ones – in hopes that the pieces one day come together into a picture more amazing than the one she once lost. Little Miss Turtle — Melanie is a French-German globetrotter who has been living with LGMD2I since early childhood. She writes about wheelchair-accessible travels to places all over the world. If you are looking for inspiration and possibilities for how to enjoy a fulfilling life and an adventurous life with a progressive disability, this blog is for you. 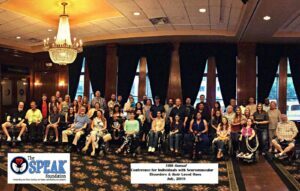 MD and Me: My Life with Muscular Dystrophy — Megan who lives in Alberta, Canada writes about anything and everything pertaining to her life with LGMD2i. She’ll talk about everything from her everyday thoughts to the deeper feelings. For the most part, this blog will be her uncensored thoughts about life with MD. 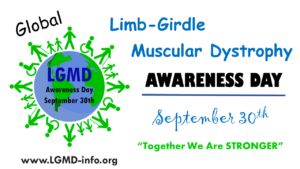 Its purpose is to show that it’s not always sunshine and roses, but her hope is that it will help you, the reader, understand more than just the surface of what Limb Girdle Muscular Dystrophy (LGMD) is and raise awareness. Life can be pretty sucky sometimes, but it can also be pretty fantastic. This blog will show you both points of view. Traveler With Disability — Jasmina and Jogoda are twin sisters from Macedonia, who have been living with a progressive physical disability, Limb Girdle Muscular Dystrophy (LGMD), since the age of 10. They both love to travel although very often it is hard to find information regarding accessibility for people with disabilities, and for them, as wheelchair users, it is more convenient to have information ahead of time. With gratitude to all those who shared their experiences and information online, and with it, helped them during their travels….they created this website in order to provide you with useful information about traveling with a disability. *** If you have LGMD and have a blog website, please e-mail us to be included in this LGMD resource guide.